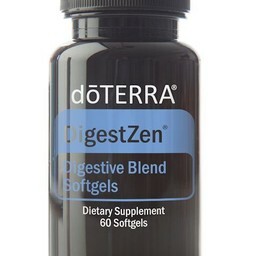 The well-recognized essential oils in DigestZen are known for providing soothing digestive relief. 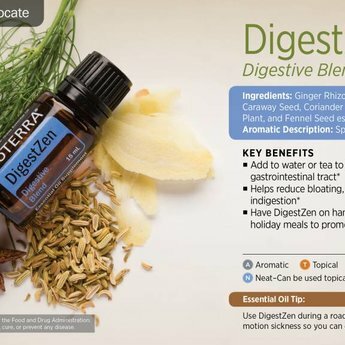 Many essential oils have been recognized through research as powerful agents to help restore normal balance in the digestive system. 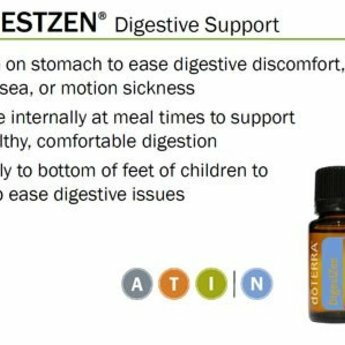 DigestZen® takes advantage of these well-established therapeutic compounds in a proprietary blend of pure essential oils. Ginger, peppermint, tarragon, fennel, caraway, coriander and anise each have specific attributes which add to the overall efficacy of this potent blend. When used internally, dōTERRA®'s DigestZen brings soothing digestive relief. 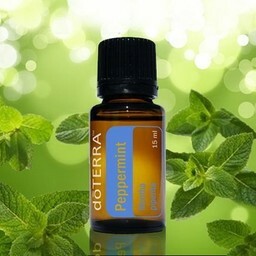 For aromatic, topical, or dietary use. Every batch of dōTERRA® essential oils is subjected to strict requirements set forth in the CPTG Certified Pure Therapeutic Grade® quality protocol. This protocol ensures potency, purity, and consistency batch to batch. 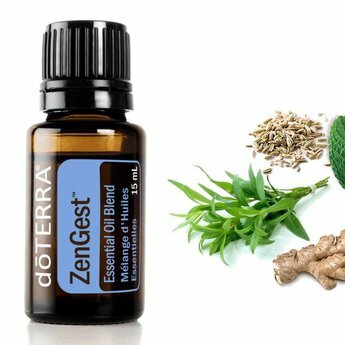 The quality of the doTERRA essential oils is high, hence the oils are purely natural and higly concentrated. 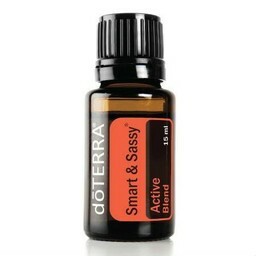 It often suffies to use one drop.